"Gloria Steinem is a visionary, an icon, a hero to millions of women and me." Written by Tony Award-nominee Emily Mann, and directed by visionary Tony Award-winner Diane Paulus, this production celebrates a dynamic all-women cast featuring Patricia Kalember, creative and producing team led by Daryl Roth. 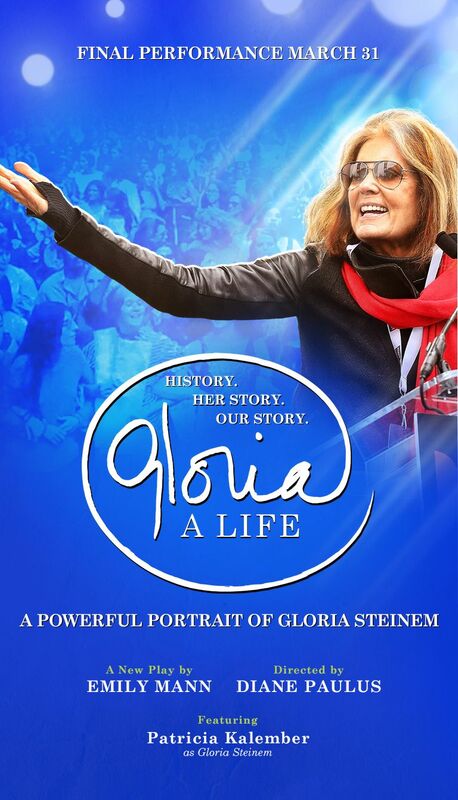 The first act is Gloria’s story; the second is our own. "I've come to have great faith in the magic of people talking after a shared experience"